In an effort to promote Music Therapy in Belfast and Northern Ireland, we strive to increase awareness about the discipline, its positive effects and who can benefit. 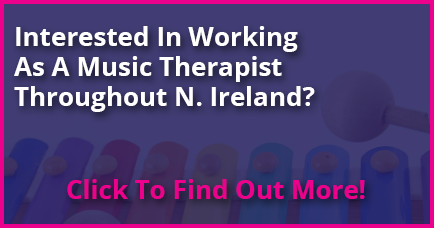 As a result we also offer Music Therapy workshops & training services throughout Northern Ireland. For more information, please see below. These workshops maybe beneficial for community playgroups, crèches etc. who would like to obtain new skills in using music with young children. The workshops are fun, interactive and hands on. They will cover the theory surrounding child development and how music can facilitate this development. MTCNI can also provide training & sessions in a variety of other areas, including Developing Language and Communication Skills Through Music’. These sessions are recommended for parents, professionals or groups working with children and young adults with special needs or those with communication difficulties.